At Energy Expertise we conduct Energy Assessment for all types of commercial properties. We have a team of professional energy assessors covering London and its surrounding areas. Our energy assessors are fully qualified and accredited professionals. We provide best service at very competitive prices. Our aim is to build long-term relationships with customers by providing an efficient and reliable service which meets your needs and exceeds your expectations. We advice whether energy performance certificate is needed or not. Energy expertise also helps its customers by advising them on energy saving and reducing their carbon footprint. Apart from energy assessment we can also provide utility services. We are happy to provide general information regarding the commercial and domestic EPC, and what inspections are required under the new UK government legislation regarding EPC. Energy Expertise not only Provide the property energy rating but also help its customers to improve their energy rating by giving them recommendations on cavity wall insulations, Renewable Energy and Energy Efficient Lighting . Our clients also take Advantage of our utility services and reduce their utility bills of Gas, Electricity and Telephone. we Provide Commercial EPC all over in England and surrounding counties since it started in jan 2009. Commercial EPC with best price and quality. 100% customer satisfaction guarenteed. vat free we Provide Commercial EPC all over in London and surrounding counties since it started in jan 2009. Energy Expertise Now also deal with SAP calculations for new build properties. Prices are £95. we can arrange Fire risk assessment from one of our partner company for £150 no vat. We have a team of dedicated Energy assessors all over in london and surrounding counties. 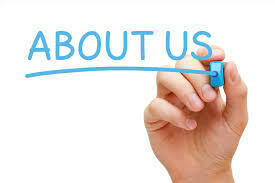 They will provide you best service and do quality work for their customers. Customers satisfaction is guranteed. Energy Expertise aims to provide all energy solutions under one platform exceeding customer needs at competitive prices.